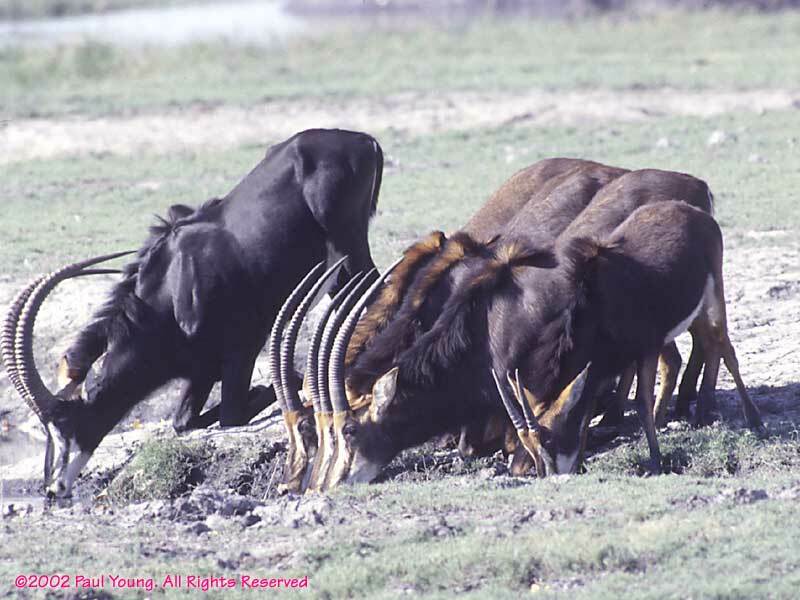 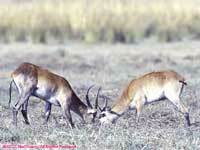 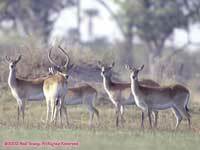 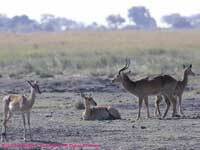 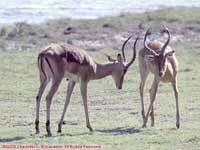 We saw many magnificent sable antelopes in Chobe. 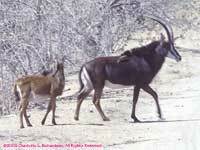 Even young calves have horns. 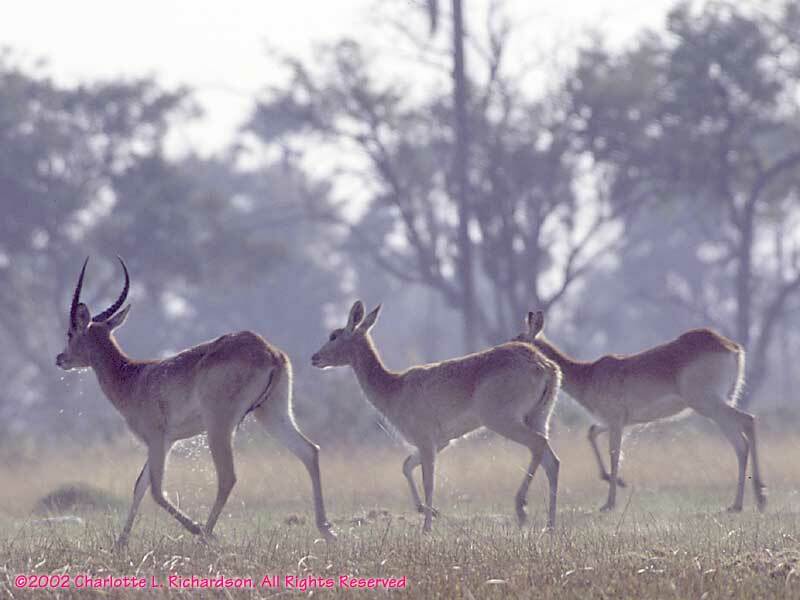 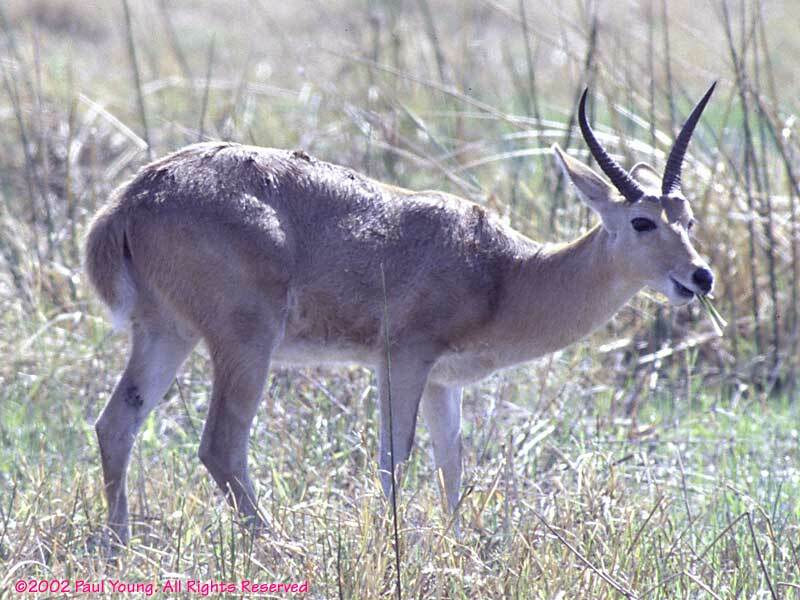 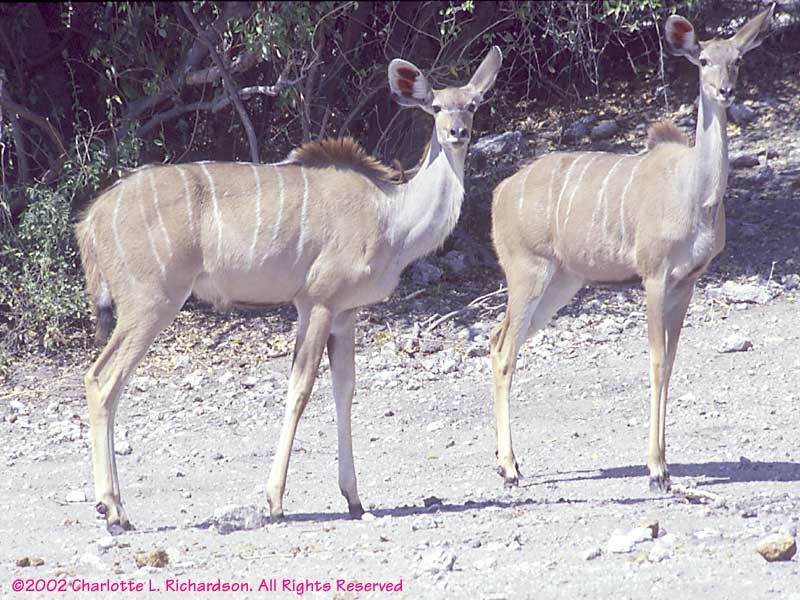 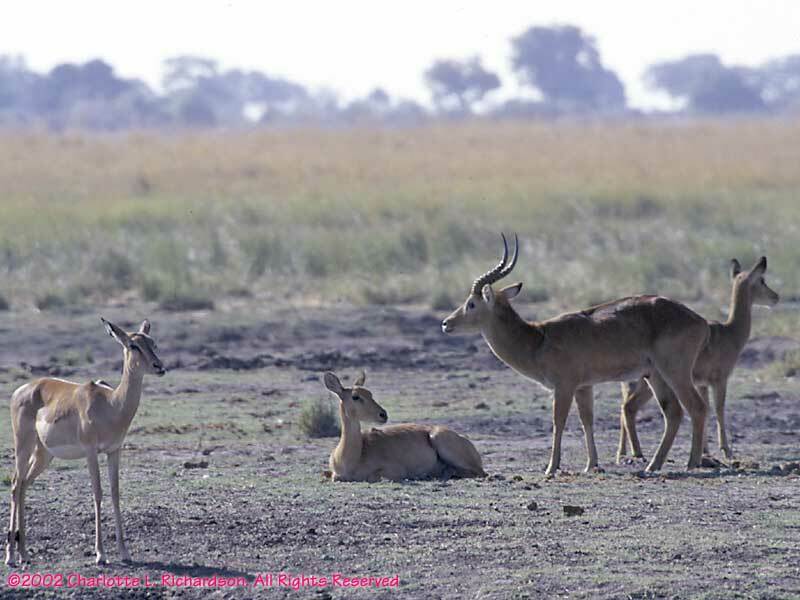 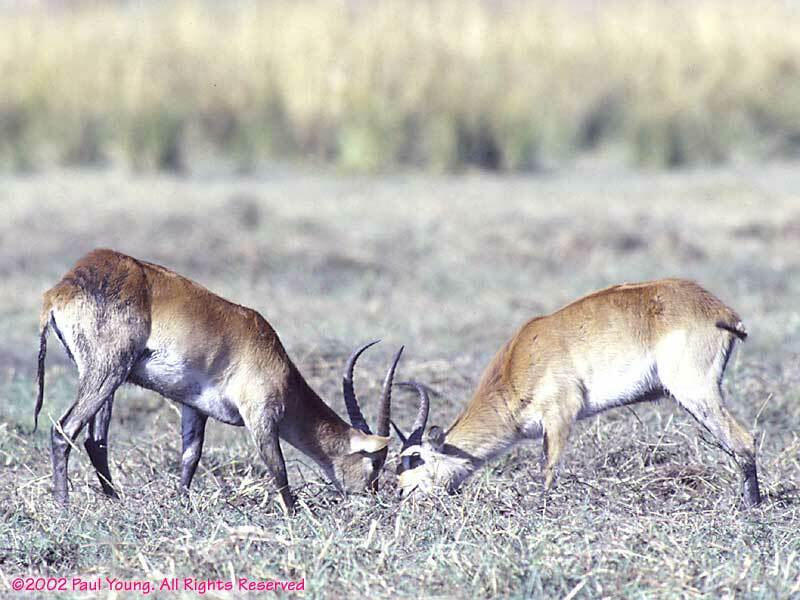 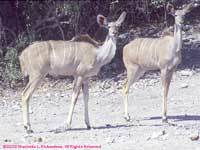 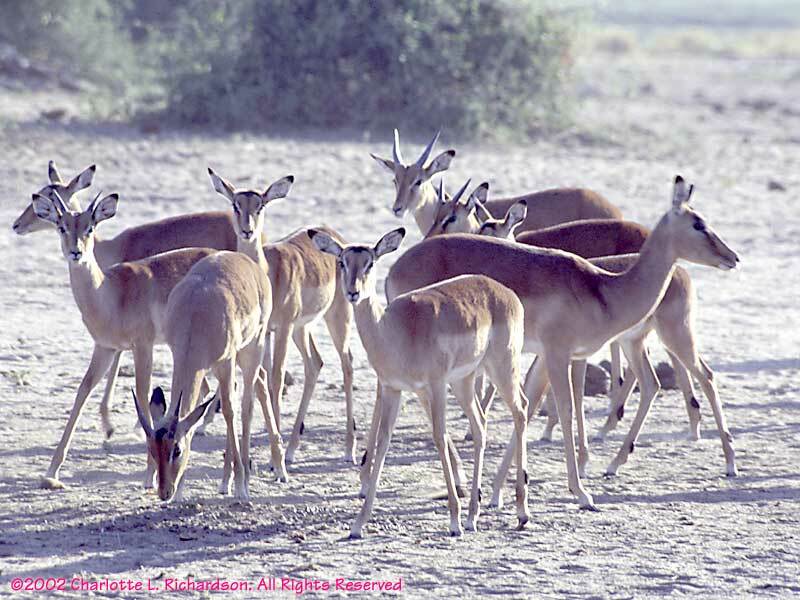 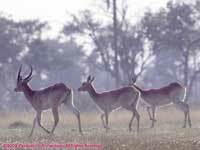 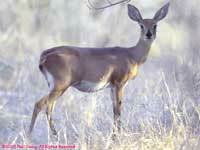 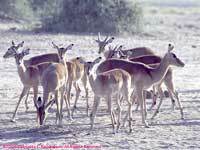 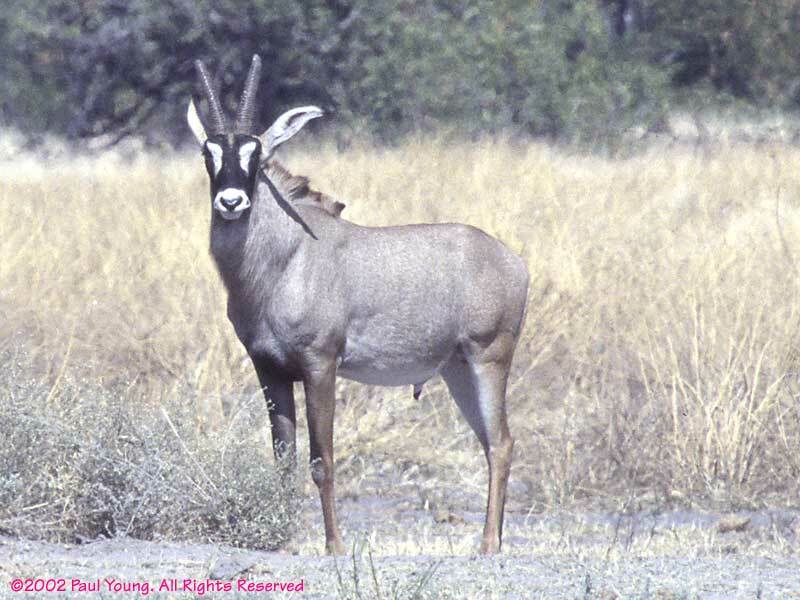 Impalas are the most common antelope. Their coats are tri-colored. 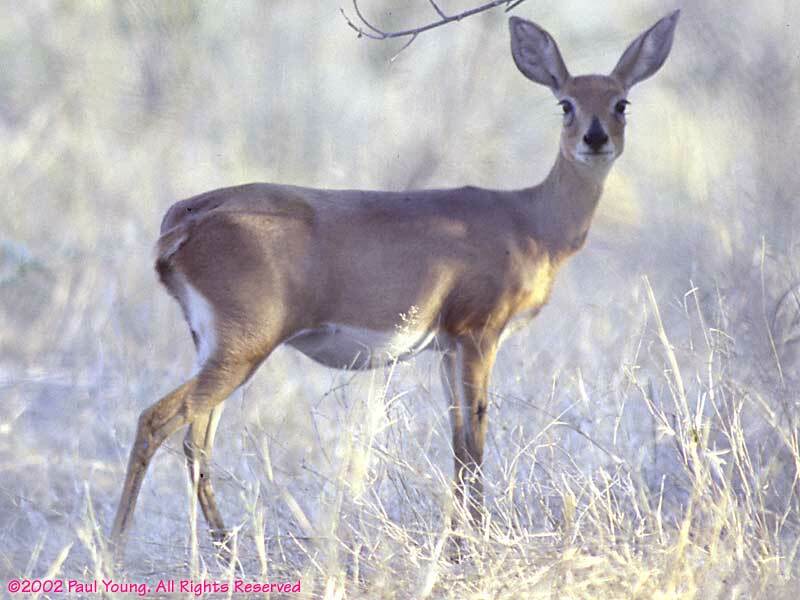 Pukus look like furry impalas. 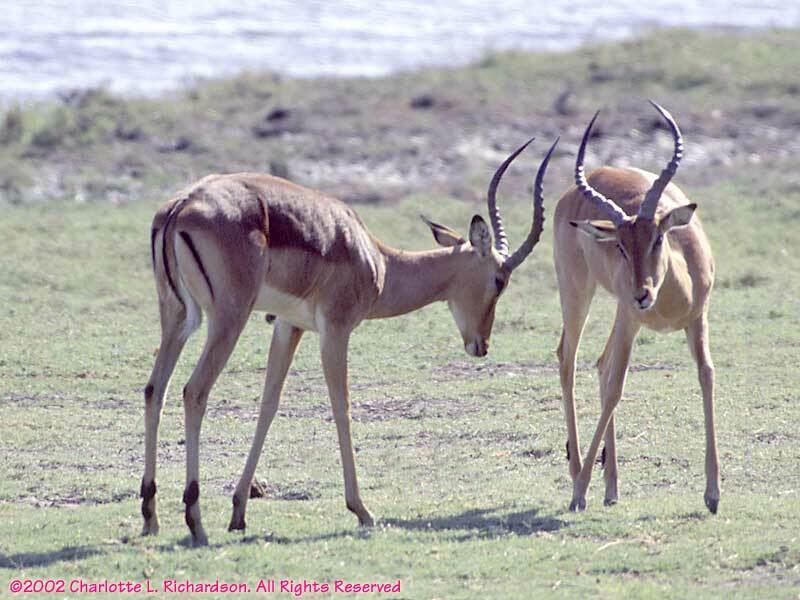 The animal on the left is an impala. The others are pukus. 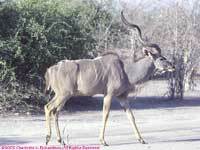 The male greater kudu has magnificent horms. Red lechwes are common in the Okavango delta, but shy. 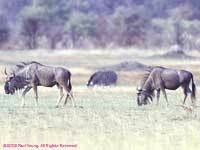 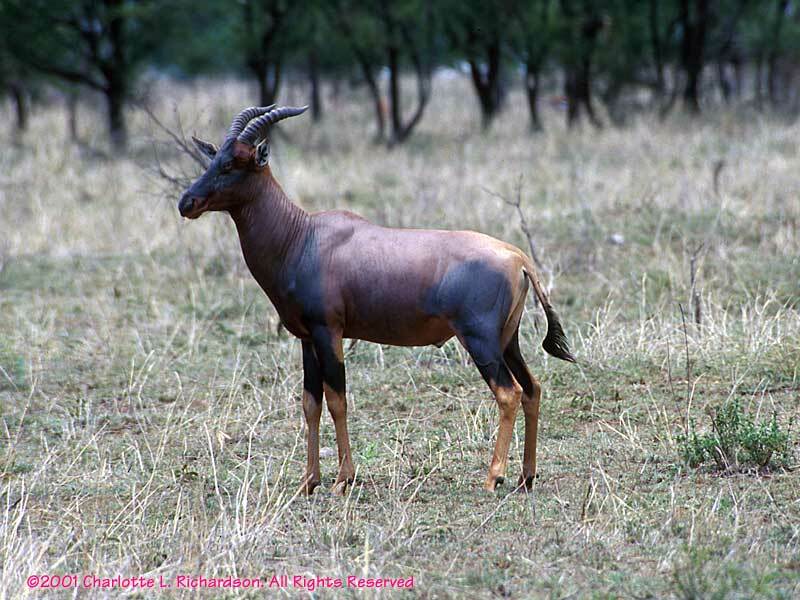 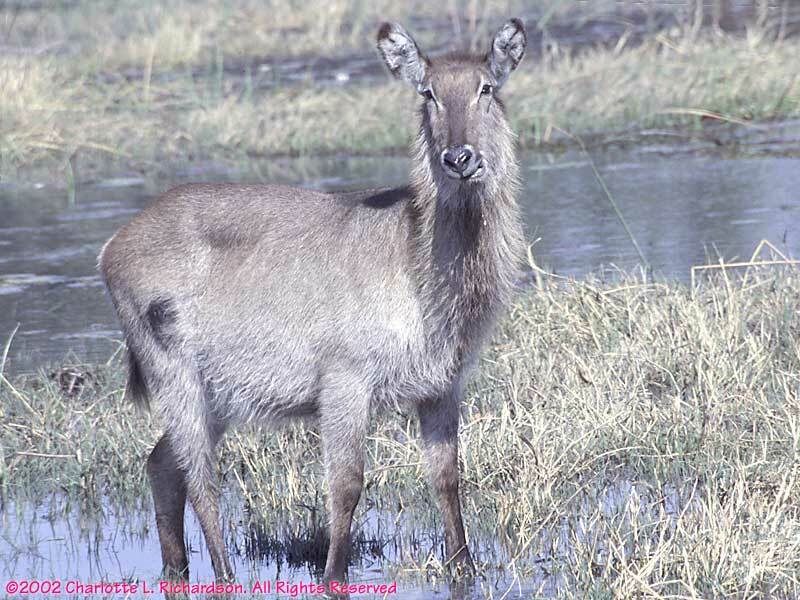 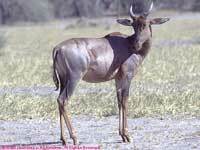 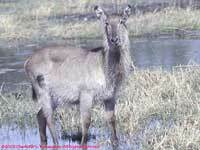 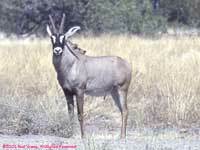 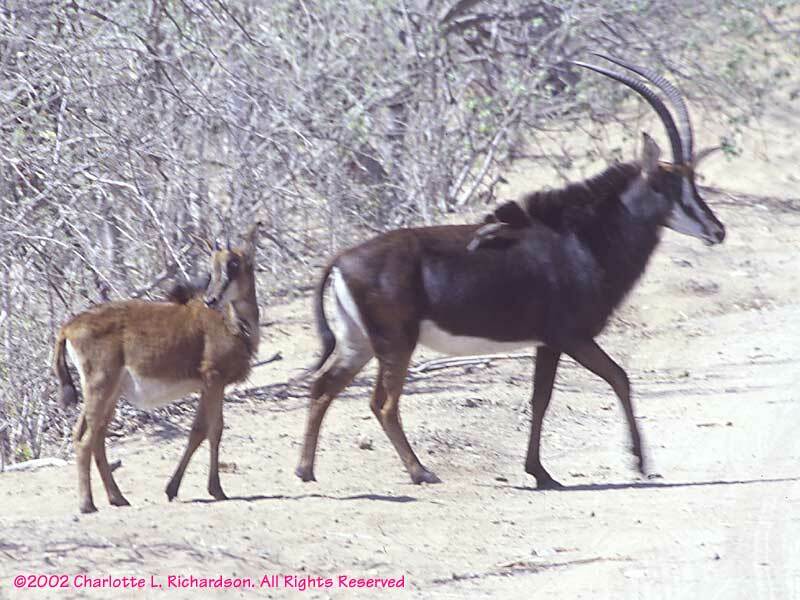 The tsessebe looks a lot like a topi, except for the horns. 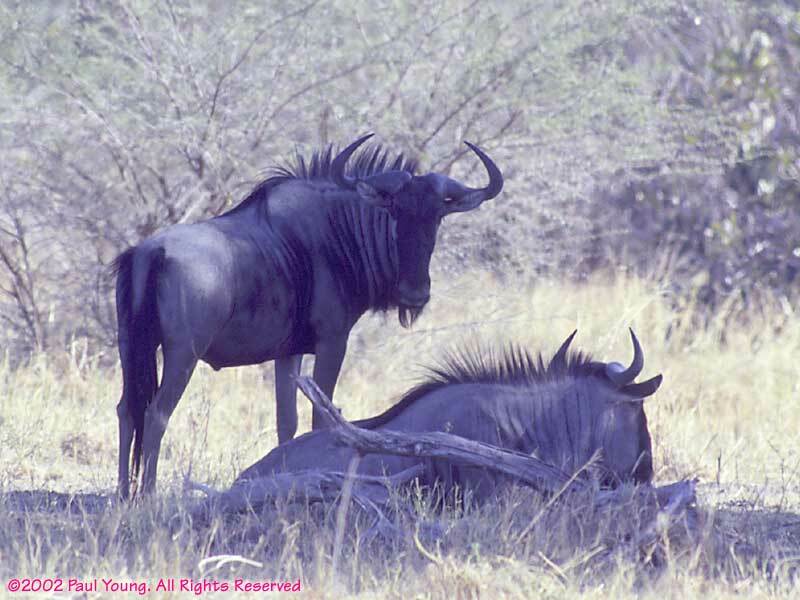 Blue wildebeests are large but shy.